Kontek designs and fabricates the Remote Operated Weapons System (ROWS) Tower to accept any system and combination of surveillance and weapons technologies. It is a ballistic and blast-rated vertical platform with systems that perform advanced surveillance, detection and assessment as well as defeat attacks by aggressors, rocket propelled grenades (RPGs) and vehicle borne threats. As a force multiplier, the ROWS Tower provides a hardened platform for any all-quadrant tactical defensive detection system employing non-lethal and/or lethal means with minimal cost and exposure to any facilities and defending forces. 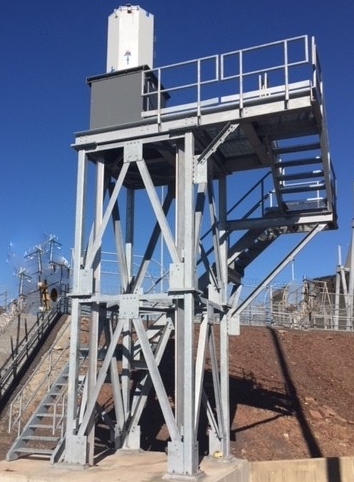 The ROWS Tower and its accompanying systems provide stand-alone capabilities which can be included as part of a larger network of ROWS Towers in a system of coordinated perimeter physical security measures.